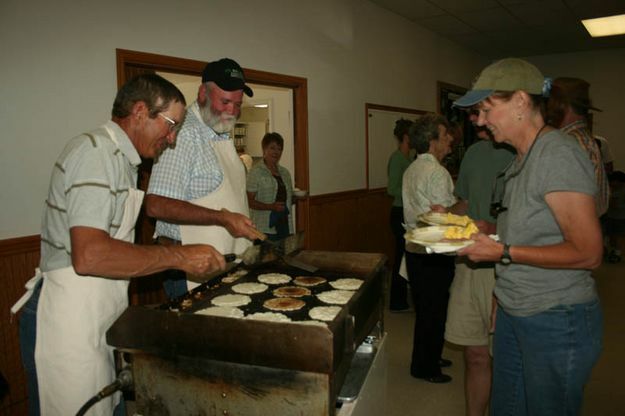 David Payne (left) and Mark Eatinger serve up pancakes during the Pinedale Community UCC Church Rendezvous Breakfast. They also had ham, eggs, juice, coffee and milk. The breakfast was by free-will donation.